Discussion in 'Consumer Law, Contracts, Warranties' started by Derek R., Feb 13, 2019. I started a performance coaching program in Mar 2018 and halfway through the 12 month program the provider coaching company terminated my assigned coach. At that point I discontinued the program as this would mean starting over and developing a new relationship with another coach. I have reviewed the coaching agreement and am looking for any detail, exclusions or assumptions that may protect me from the agreement balance being enforced for payment. Thanks for looking and I appreciate any help. BTW - Company resides in Tennessee and I live in Arizona. Not sure if that makes any difference with law jurisdiction. I don't download anything provided from unknown sources, mate. 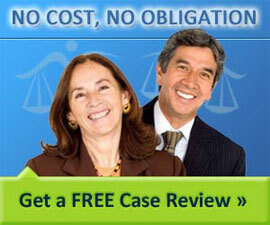 If you want a contract evaluated, I suggest you visit with a local attorney and have him/her evaluate the document. I wish you look as you seek your "holy grail", releasing your from honoring your financial obligations incurred under the contract that you chose to sign. That said, miracles do happen, now and then. Thank you for your response. While I am very familiar with the requirements of a contract, I am not familiar with reasons for breach etc. Especially, if my situation warrants such. Thanks, again. Which is why I suggest you take your documents to a couple of local lawyers and have a consultation. The initial consultation is normally provided free of costs to a potential client. In your situation, unless your contract said that Big Gymstud was to be your trainer, I don't see how the service provider breached. What if Big Gymstud died, got arrested, developed an illness and required surgery, won the lottery and quit, or decided to meditate in the Himalayas? I don't see how you believe that you and Big Gymstud were to be paired at the hip for the duration of the contract? If that is what you desired, you would have to hired him under a personal services contract, which also has its "outs". looking for any detail, exclusions or assumptions that may protect me from the agreement balance being enforced for payment. I read the contract and I'm happy to give you my 2 cents worth. 1 - Nothing in there guarantees you the same coach for the duration of the program. 2 - You agreed to pay for the full year if you cancelled within the first 12 months. You see that, right? They didn't breach the contract, you did. Michael Wechsler and army judge like this.